The goal of fasting is to draw nearer to God. Biblical fasting always has to do with eliminating distractions for a spiritual purpose; it hits the reset button of our soul and renews us from the inside out. It also enables us to celebrate the goodness and mercy of God and prepares our hearts for all the good things God desires to bring into our lives. Remember, your personal fast should present a level of challenge, but it is very important to know your body, your options, and, most importantly, to seek God in prayer and follow what the Holy Spirit leads you to do. 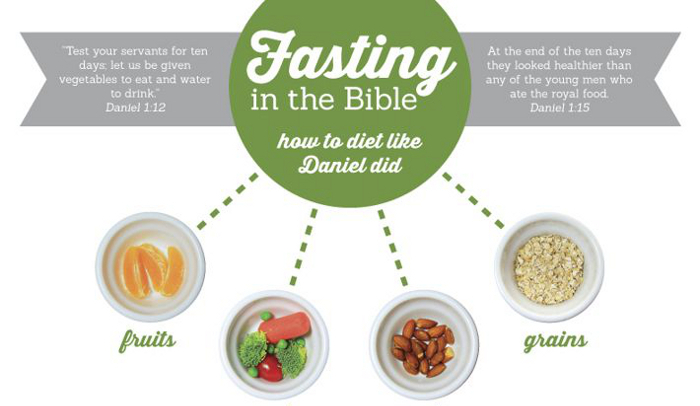 God desires to grow us in faith during our Daniel fast. Make your first prayer request – Lord I want to know You more. We will be praying for all areas of the church, country and personal needs. We do encourage all in Riverside Church to do some form of fasting eg. selective fast, complete fast, partial fast, soul fast or any combination of them. It is for you to be led by The Holy Spirit. Apples, Apricots, Bananas, Blackberries, Blueberries, Cranberries, Raspberries, Strawberries, Cherries, Grapefruit, Grapes, Guava, Kiwi, Lemons, Limes, Mangoes, Watermelon, Nectarines, Oranges, Peaches, Pears, Pineapples, Plums, Tangerines. Artichokes, Asparagus, Beets, Broccoli, Cauliflower, Brussels Sprouts, Carrots, Celery, Chili Peppers, Cucumbers, Eggplant, Garlic, Ginger Root, Leeks, Lettuce, Cabbage, Spinach, Mushrooms, Onions, Potatoes, Sweet Potatoes, Radishes, Sprouts, Squashes, Zucchini, Tomatoes, Turnips, Yams. Whole Wheat, Brown Rice, Quinoa, Oats, Barley, Grits, Rice Cakes, Popcorn. Sunflower Seeds, Cashews, Peanuts, Sesame, Nut Butter, Peanut Butter, Dried Beans, Pinto Beans, Split Peas, Lentils, Black Eyed Peas, Kidney Beans, Black Beans, Cannellini Beans, White Beans. Olive, Canola, Grape Seed, Peanut, Sesame, Spring Water, Distilled Water, Other Pure Waters. Biblical fasting takes a lot of discipline and strength—strength which you can only receive from God. Your private discipline will bring you rewards in Heaven,says Matthew 6. When you give God your first through fasting, prayer and giving at the beginning of the year, you set the course for the entire year.